The Pearson trio are together for the first time in This is Us’ run, and yet they are still kept largely separate. That’s probably intentional: Kate, Randall, and Kevin are all on their own separate journeys before Thanksgiving, and will continue on them afterward. But when they get to their childhood cabin (had that ever been mentioned before? Did I just miss it or is this new? ), I suspected they would create new dynamics in their first full reunion, yet the still largely dealt with their own issues. Itl seems like a waste to have the defining characters of the series come together — even Jack and (past) Rebecca are brought into the fold in a way — and not have them interact all that much. This is especially true when it comes to building on the pairing that otherwise hasn’t been explored because of geography and plots — Randall and Kate — who have a good relationship, but one that is never discussed or explored. They live such different lives, with different outlooks on life and they only had a few scenes together. Kate still stuck with Kevin, and while that makes sense in the context of how Randall feels — forever separated from the other two — I wanted to see more of how they interact. SInce Kevin has moved from California to New York, Kate has very much felt like an island, isolated from the others, and her return to the Pearson fold is perhaps why this felt like such a non-reunion. Randall began the series on his own, but his storyline was so clearly the most compelling and developed, and started to roll so early in the series, that it didn’t feel as problematic as Kate’s isolation. Kevin has his precarious fame, his self esteem issues and his relationship with Randall to round him out as a character. But Kate only has the weight. Her professional and personal lives, or what exists of them, is only tied to how she looks, and because of that feels, she so disconnected to her siblings and their problems. It’s why I wished they had taken advantage of the Pearsons time together. Kate had a weird episode. She has spent so much time demonstrating little to no self worth. Every once and awhile, there will be there burst of empowerment — like when she told off the daughter of her new employer — but for the most part, she’s largely projected as meek and self-hating. So when she goes after Olivia, it seems like an odd turn of events for her. There are arguments to be made that’s she’s protecting her brother, and much like Rebecca she will go to great — and sometimes damaging lengths — in order to take care of her family. But it was a side of Kate that we had previously not seen or seen little of, for better or for worse. Their confrontation felt out of place, if only because there’s been no time to develop this uber-maternal part of Kate’s personality. That’s also perhaps why it’s so crushing when Olivia takes the wind of the Kate’s sails with only a few words. Right or not, Kate finally had something to do and talk about besides her weight. She was fun in this episode, she made jokes. She may not have handled herself in the best way — it’s not the nicest to meet people and tell them how they terrible they are — but at least she showed interest in something other than her weight loss goal. It was also an odd choice in that Olivia didn’t really reveal anything that Kate and the audience didn’t already know: She’s essentially miserable. Making her sadder just feels like kicking her while she’s down, and the revelations that came from their discussion could have been achieved without making Kate feel even worse about herself and who she is. And, Olivia herself is a weird character. Do we root for her and Kevin? Do we side with Kate and hope she leaves once this play is over? In the previous episode, she talked about her difficult family life with Kevin and, yet, I don’t trust this character, so I expected her to reveal to Kevin that she was lying about the pie, that she was creating some sort of character that she could claim was authentic. But she wasn’t, and instead seemed genuinely upset about being a part of this “normal” family experience. Once again, though, Olivia pivots into terrain where she takes down a beloved main character (Kate) and manipulates another (Kevin). In a way, I appreciate her unpredictability, but at the same time she’s uneven and changes based on what’s necessary for the plot rather than become developed (much like Kate in this episode). So when Kevin ends up in bed with the mousy playwright, are we supposed to cheer for him for leaving Olivia behind? Or do we feel for her for possibly missing out on this relationship that she actually wants but doesn’t know how to accept because of the previously discussed dysfunctional background? Through Olivia and her ensuing drama, what I’ve come to appreciate is Justin Hartley (Kevin) as a comedian. He consistently bring a much-needed levity to things, even if his more dramatic scenes don’t tend to work as well. 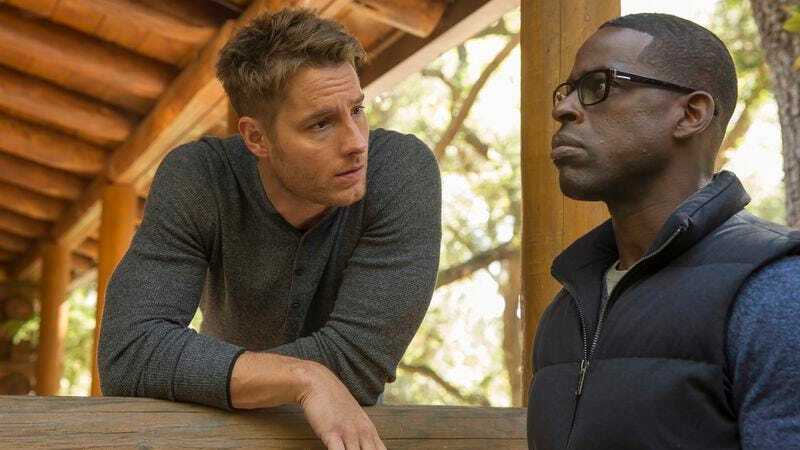 The difference between castmembers’ skill level is perhaps never as apparent as when they go up against Sterling K. Brown, who I will say time and time again is fabulous, so you might as well get used to it now. He can elevate the more treacly material, handle the comedy, and nails the drama. In there scene together, Milo Ventigmilia felt flat, Brown crackled with intensity. There are so many examples of characters on television accidentally taking drugs, usually for comedy, and of course This Is Us decides to go dramatic because you’ve seen this show before. Randall has major revelations about his mother’s decision to keep his father away from him, just as the show flashes back to show how Jack and Rebecca worked to find black role models for their son. Randall’s adoption into a white family is one of This Is Us’ more fascinating plot threads. I appreciated the way they handled this theme in “The Trip,” but at first I did not. Yvette, the woman Rebecca meets in “The Pool,” can be seen as the Pearson’s black guru, and Jack and Rebecca can feel like these white do-gooders. But I appreciated how Randall, and the show, acknowledges that this wasn’t enough. Jack and Rebecca tried, but there was still a piece of Randall that was missing and it had nothing to do with his race, but instead with his blood. But Rebecca’s ultimate reasoning for keeping Randall and William away from each other was similarly intriguing. Like Olivia, Rebecca isn’t given the benefit of being a saint. She makes mistake and that will cost her the trust of her (very understand, mature son) for the time being. Look at her situation one way and she’s selfishly depriving Randall. Look at it another way, and she’s ultimately protecting herself (although the trippy scene where a young Rebecca locks doors was a bit a silly and heavy handed) because of this intense love she has for her son. The things that Randall has let define his life - that’s he’s different and doesn’t belong - are ultimately wrong. He belonged so much that Rebecca didn’t even want give up a small part of him to anyone else, no matter how much it could have helped both of them. 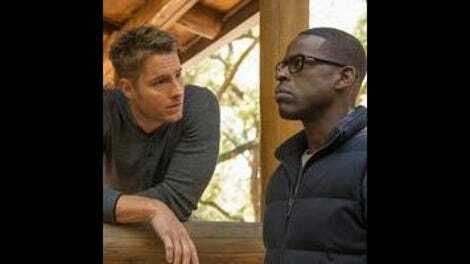 That’s perhaps another reason - another than my total buy in to its emotional manipulation - that I like This is Us as much as I do: It doesn’t let characters off the hook. It allows them to be complicated and twisty. Sometimes that doesn’t work (or hasn’t worked yet), as in the case of Olivia, and sometimes it’s what ultimately gives the show its modicum of earned depth. Hey! We’re starting This Is Us coverage. Won’t you join me for the drama and the tears and the laughter and the swelling music?